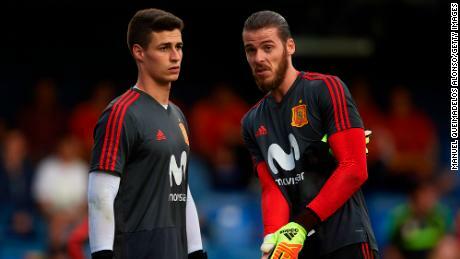 In a world-record transfer fee for a goalkeeper, Chelsea signed Kepa Arrizabalaga for £71.6 million ($91 million) from Spain’s Athletic Bilbao. “It’s a very important decision for me, for my career, and also for my personal life,” said Kepa in a statement on the Chelsea website. “Kepa is a talent we have admired for a long time and we are extremely excited about his arrival,” added Marina Granovskaia, director of Chelsea FC. Kovacic, who played five games during Croatia’s run to the World Cup final this summer, said of his arrival at Chelsea: “I am really happy and excited to be here at Chelsea. It is an amazing feeling. Meanwhile leading football agent Jon Smith believes the Premier League “jumped the gun” by closing its transfer window earlier than other European leagues. “We tested the water with both feet and I think we are drowning a little bit,” Smith told CNN Sport’s Amanda Davies. “If Juventus wanted to push the envelope they have got three or four hours to figure out the replacement, whereas Barcelona could wait around for the next three weeks and make their minds up.